Internet access is now seen by many to be a human right, a necessity rather than a luxury. Our Internet Service Providers (ISP) are one of the things we love to complain about – the cost, the speed, the reliability are all things that concern us. Another concern that is becoming more widespread is privacy – just how much data does our ISP have about our online activities? As our digital world grows, so does the power of ISPs. Open Garden, a decentralized ISP solution, recently surveyed 1,000 Americans to better understand consumer perceptions toward Internet service providers and privacy concerns regarding their online activities and personal information. 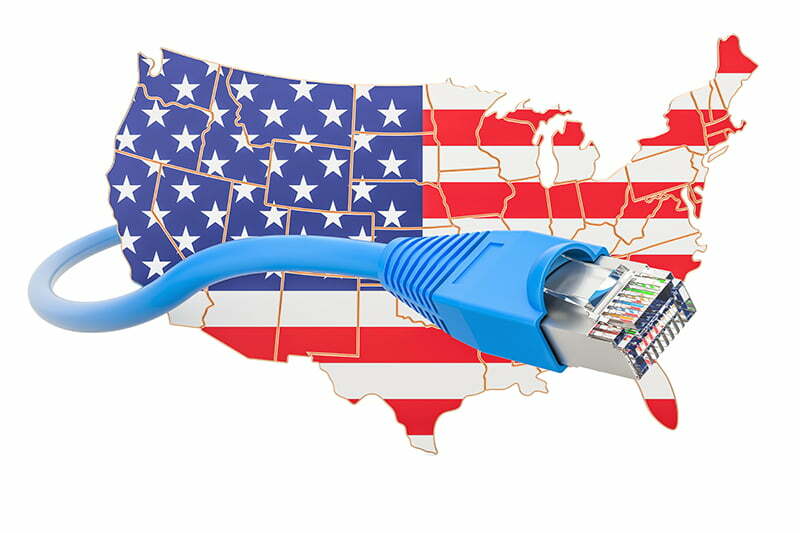 Most Americans access the Internet through large ISPs including Comcast Xfinity, Charter Communications / Spectrum, AT&T, Verizon and Cox Communications. Across providers, 63 percent of those surveyed believe home Internet service is too expensive. In today’s digital world, connectivity is no longer seen as a luxury, but rather a necessity. In fact, 81 percent of respondents agreed or strongly agreed that the Internet is a public resource. Unfortunately, most Americans also worry their ISP is sharing their personal information with both advertisers and government agencies. Breaking it down further, 66 percent believe that their ISP sells their behavioral data to advertisers and three quarters believe the government has access to all of the data their ISP collects. There was also a strong demand for an ISP that wouldn’t monitor, sell or share user data, with over 90 percent of respondents saying they would prefer such an ISP. Thanks to Open Garden’s breakthrough network protocol, the Internet service provider most Americans are searching for could simply be a neighbor. With the mainstream adoption of Airbnb, Uber and Lyft, it’s no surprise that the sharing economy is expected to grow to $335 billion annually by 2025. The American public is looking for ways to leverage peer-to-peer solutions and millennials are leading the charge. Many of those surveyed expressed interest in applying the principles of the sharing economy to Internet service. For instance, 60 percent of millennials expressed interest in purchasing Internet service from a neighbor instead of directly from a traditional ISP if it were less expensive and 58 percent would be willing to sell Internet connectivity to their neighbors. While the majority of all respondents (53 percent) demonstrated openness to a sharing economy model for Internet connectivity, millennial interest was roughly seven percent higher than all other generations. Across generations, the cost of Internet service for most users remains very high, as there is little competition in the ISP marketplace. On average, consumers are typically paying for more bandwidth than they need because network operators have precisely structured their business models that way. Interest in a sharing economy model for Internet service poses hope for addressing today’s high costs of broadband, a lack of competition and privacy concerns. 54 percent of users worry their Internet Service Providers monitor what they do online. More respondents (28 percent) named Comcast Xfinity as their provider than any other and one third of Gen Z respondents stated they were Comcast Xfinity subscribers. 73 percent of Comcast Xfinity subscribers said their home broadband Internet service was too expensive. 68 percent of CenturyLink subscribers would consider purchasing Internet service from their neighbor instead of large Internet Service Providers, if it were less expensive. One third of Comcast Xfinity subscribers, CenturyLink subscribers and Time Warner Cable subscribers worry their Internet Service Providers are selling or sharing their information with advertisers. Android smartphone users are six percent more likely to be interested in sharing their broadband home Internet service with their neighbors, if neighbors could easily and securely pay them for it and five percent more likely to purchase it from their neighbor than large Internet Service Providers.